It’d be awfully tempting to stuff this tea towel into the mouth of a loud, mean person. Would we get punched in the face? Probably. But, it might shut them up, at least temporarily. 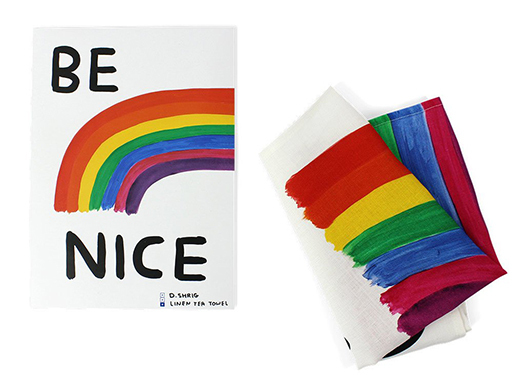 And, it’d be hard to be mean when holding a tea towel with a pretty rainbow and the words ‘BE NICE’, wouldn’t it? So, maybe they’d change, as if by magic. After removing it from their mouths, of course. Available from Third Drawer Down, $36.00.